A stockholder inherits ownership rights when he buys a company's shares. Stockholders’ equity is a company’s net worth. It is the company’s remaining value if it sold all of its assets and paid all of its liabilities. Stockholders’ equity is listed on a company’s balance sheet, and investors use this vital information to evaluate the financial health of a business. An increase in net income and an increase in capital contributions are two possible factors cause stockholders’ equity to increase. The basic formula for stockholders’ equity is assets minus liabilities. The components of stockholders’ equity include retained earnings, paid-in capital, treasury stock and accumulated other comprehensive income. Depending on the financial transactions that occur, a company’s stockholders’ equity increases or decreases. A continual increase in stockholders’ equity is viewed as a positive trend by investors, while a continual decrease causes concerns. A primary reason for an increase in stockholders’ equity is due to an increase in retained earnings. A company’s retained earnings is the difference between the net income it earned during a certain period and dividends it paid out to investors during that period. Investors view an increase in retained earnings as a positive sign, especially if the company continues to pay out dividends. Companies use retained earnings to fund profitable ventures and invest in research and development. An increase in paid-in capital is another possible reason for an increase in stockholders’ equity. 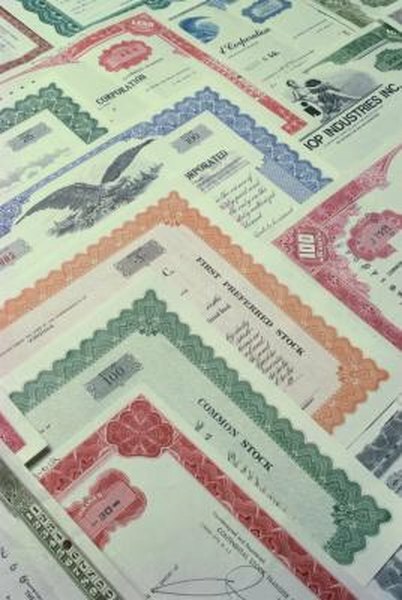 Paid-in capital is the money a company receives from investors in exchange for common and preferred stocks. Paid-in capital increases when a company issues new shares of common and preferred stocks, and when a company experiences paid-in capital in excess of par value. Par value is used to describe the face value of a company’s shares when they were initially offered for sale. Paid-in capital excess of par is the amount a company receives from investors in excess of its stated par value. For example, if a company issues 100 shares at $10 par value for $15, the $500 difference is credited under stockholders’ equity as paid-in capital excess of par. Investors can use data presented under the stockholders’ equity section of the balance sheet to develop important financial ratios that explain the financial condition of the company. An important financial ratio used by investors is return on equity. ROE shows investors how efficiently the company is producing a return for its shareholders. ROE is calculated by dividing the 12-month average of shareholders’ equity by the net income the company earned within those 12 months.